This 14K white gold pendant is the epitome of understated elegance. 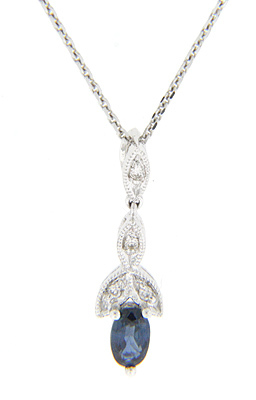 A single, blue sapphire is crowned by four diamonds set in marquis shaped settings. The pendent measures 3/4" in height and 1/4" in width.